Fugløykalven lighthouse was built in 1916 in order to assist vessels coming from sea. It is situated on the summit of a steep islet. The lighthouse is an octagonal concrete tower similar to the Sula lighthouse in Trøndelag. Dwelling house, outhouse and lighthouse tower forms a tight compound with a fenced yard in the middle. A ropeway and a path leads to the landing and boathouse. 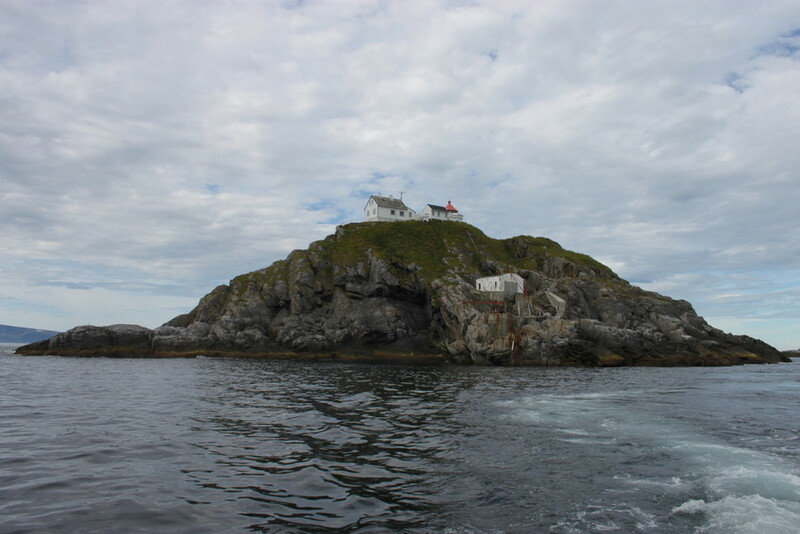 Fugløykalven is considered one of Norway’s most isolated lighthouses. Landing conditions are difficult, and so are the waters around the islet. The lens of the 2nd order is thus screened with 19 sectors, the highest number in the country. Due to their historical significance, the buildings are protected as heritage. The lighthouse was automated and de-manned in 2003. It is owned by the Norwegian Coastal Administration.